Yucca plants are hardy desert plants that tolerate a wide range of soil conditions and growing environments, but a number of factors cause its leaves to turn brown. Keep a yucca healthy to avoid the appearance of unattractive brown leaves on the plant. Healthy yucca plants have dark green leaves. Many yucca plants, as the leaves mature, age and die off, produce brown, stringy filaments along the edges of leaves. As these appear, the leaves will also begin to turn brown and drop off of the yucca plant. This is a normal part of the yucca's life cycle. 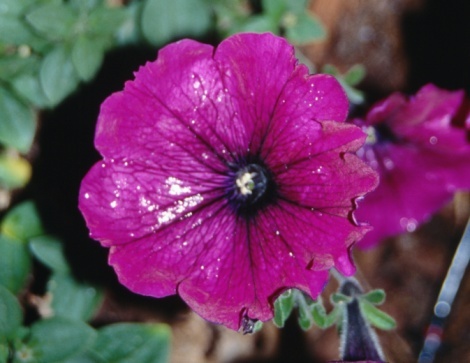 Remove leaves dying of natural causes and shred or mulch them before adding them to the planter soil. In this way, they provide nutrients for the yucca. 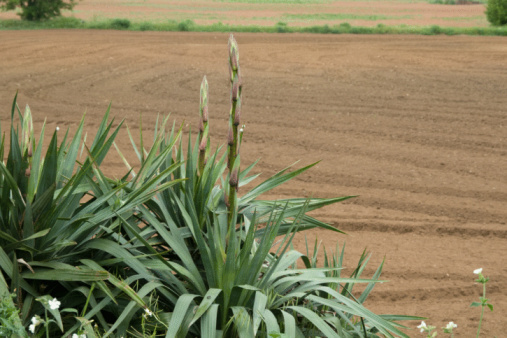 Yucca plants that are grown in planters or near other plants may experience root crowding, which limits the yucca's ability to take in water and nutrients from this soil. This weakens the yucca rapidly, causing the appearance of brown leaves. Check the roots of a yucca plant in a planter — if the roots are emerging from the bottom, the yucca needs a larger planter. Remove plants from the area directly around a garden yucca to free up root space. Too much water will drown the yucca plant, causing the leaves to swell and then droop, turning yellow or brown. Excess water that builds up in the bottom of a planter also leads to fungal diseases that can weaken or kill the yucca. Be sure the soil around the yucca drains water, whether it's in a planter or the garden. Too little water causes the yucca to become dehydrated; although yuccas are desert plants, they still need water regularly. Yucca plants need direct, full sunlight throughout the day to remain healthy and produce strong, dark green leaves. Indirect sunlight causes the yucca to become listless and weak; leaves will become yellow or brown as they are unable to take in sunlight and continue growing. Keep the yucca in a warm, south-facing area of the house or garden to keep the plant healthy and productive throughout its life cycle.